It is said that the definition of “insanity” is doing the same thing over and over again expecting different results, yet with the best of intentions many of us make a New Year’s Resolution each January 1st saying “this will be the year“! The problem is, that by the end of the first week in January 50% of us will have already given up on our resolution to lose weight, exercise more or eat healthier. By the end of the month, 83% have given up. In fact, a study on New Year’s Resolutions found that only 8% of those that make these types of health-related commitments will actually achieve them, which are pretty discouraging statistics. If we want to lose weight, get in shape and start eating healthier the way NOT to do it is by making a New Year’s Resolution. We need a plan; a plan that is specific, with outcomes that are measurable and achievable and that are relevant to our overall life goals and realistic, and we need them to be accomplished in a timely manner. These are the essence of SMART goals! You can read more about those here. Saying “I’m going to lose weight this year” says nothing about how much weight, in what period of time, by what means, nor what “success looks like”. It’s not a goal, but a wish. It’s expressing a desire without a commitment. This also applies to exercising more or eating healthier. How convincing would it be to us if someone said “I want to spend the rest of my life with you” but made no commitment to a relationship, or to live in the same city as us or to spending time with us? Why should we put confidence in our ourselves when we also express desires without commitment? 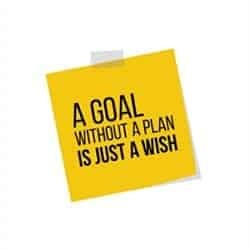 We may WANT to lose weight, we may WANT to exercise more and WANT to eat healthier but all the “wanting” in the world won’t move us closer to any of those goals because a goal without a plan is just a wish. 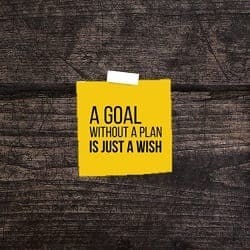 …and a goal without a plan is a New Year’s resolution. If you want to lose weight, exercise more and eat healthier this year, then what I’d recommend is rather than making a New Year’s resolution this year, make a commitment to yourself to take the month of January to design an implementable plan built on SMART goals. If you do this, by the end of the month when 83% of people that have made New Year’s Resolutions have already given up, you will be ready to begin implement a well thought out plan! When most people have forgotten their wish, you will have what you need to be successful. If you would like help setting SMART health and nutrition goals for yourself, I offer a one-hour session that is especially for this purpose that is available via Skype or telephone. I’ll help you set goals for yourself that are specific, measurable, achievable, relevant /realistic and timely. These will be your goals and success will look like however you decide to measure it. I will assist as a coach helping you set goals for yourself that are achievable, relevant and that can be achieved in a realistic amount of time. If you would like to know more, please click here or if you have questions, please send me a note using the Contact Me form located on the tab above. Wishing you and yours the very best for a healthy and happy New Year! How Many People Will Achieve Their New Year’s Resolution? If you are one of the many people that will be making a health-related New Year’s resolution this year, I’ve got some bad news for you. 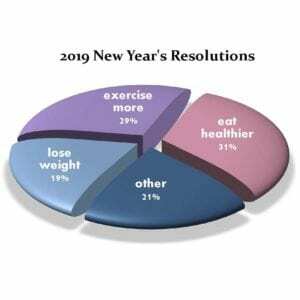 Half of people that make this type of resolution will have given up after only a week and 83% will have thrown in the towel by the end of January. This is not very encouraging, is it? As I said above, most New Year’s resolutions are wishes, more than a plan. A wish is along the lines of “I’d like to” but without a well-thought out, realistic plan to make that a reality. 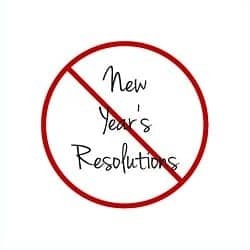 Yesterday, I wrote an article titled Avoid Making These New Year’s Resolutions which explains how to set goals that will transform your health-related wish into an achievable goal. The steps are very straight-forward and if you want they can be completed between now and New Years or can be worked through during the month of January so that by the time 83% of people have given up on their New Year’s Resolutions, you will be primed to begin implementing your plan! What I’d recommend is that you read through the article I wrote yesterday (link directly above) and if you need or want some help designing a plan, I have a special New Year’s SMART goal session that can help. You can click here to learn more or send me a note using the Contact Me form located on the tab above. 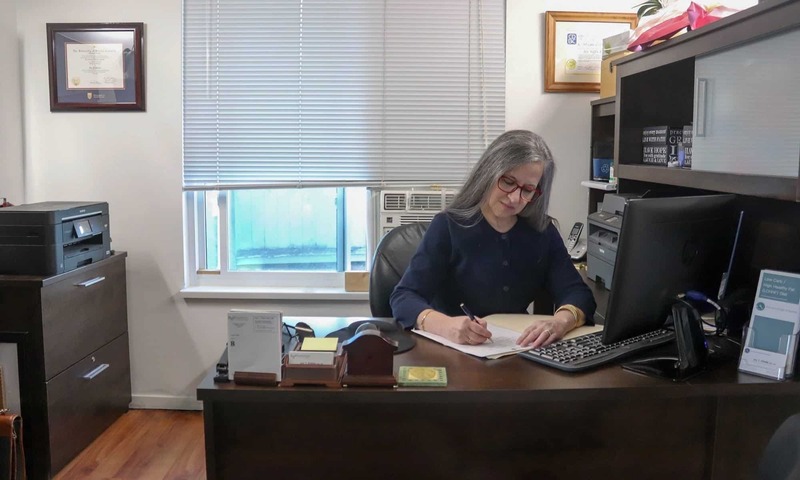 I provide both in-person services in my Coquitlam (British Columbia) office and via Distance Consultation (Skype, phone), so whether you live in the Greater Vancouver area or away, I’d be happy to assist you. Why on earth would a Dietitian suggest to avoid making New Year’s resolutions to lose weight, exercise more or eat healthier? The reason is that research indicates that half of those that make these types of health-related New Year’s Resolutions give up just a week into the new year  and by the end of January, 83% will have given up . A New Year’s resolution will see only 8% of people reach their goal, with 92% failing. I want people succeed and since it takes approximately 66 days (that’s more than 2 months!) to create a new habit having my support during the critical planning and implementing stage can make a huge difference! Rather than making a New Year’s resolution, I recommend that people set SMART goals. Ideally if they want to lose weight during the new year, they will have done this in November and begun to implement their plan in December but it’s not too late! Setting SMART goals in January and beginning to implement them in February works great! SMART is an acronym for goals that are specific, measurable, achievable, relevant (or realistic) and time-bound. When setting a goal, it needs to be specific. If your goal is weight loss, then think about exactly what you are trying to accomplish in terms of how much weight in what amount of time. If your goal is to exercise more, than decide how often you will exercise, for how long at each session , and what types of exercise you will do (weights, resistance, cardio, etc). If your goal is to eat healthier, then define what that means to you. Is it “clean eating”; then what is that, exactly? If you want to eat to lower your blood sugar or cholesterol or blood pressure or to reduce your risk to specific diseases that run in your family, then you need to define it that way. When setting a goal it is necessary to define what is going to be used to measure whether the goal will have been met. If the goal is weight loss, then it can be measured by a certain number of pounds or kilos lost or by a specific waist to height ratio. If the goal is to exercise more, then it can be measured in times per week at the gym, the number of hours spent exercising each week or how many fitness classes you attend each month. If the goal is to eat healthier, then how are you going to measure that? It could be measured in how many times you eat fatty fish (like salmon or mackerel) in a week, or how many grams of carbohydrate you eat per day or how many servings of leafy green vegetables you eat per day. How will you measure it? For goals to be be successfully accomplished, they need to be realistically achievable from the beginning, otherwise people get discouraged and give up. When it comes to setting weight loss goals, it is not uncommon for people to decide they want to lose 20 pounds in a month before a special social function, but is it achievable? When it comes to exercising more, is it achievable to set a goal of working out an hour a day, 7 days per week or is there a different goal that is more achievable and will still keep you progressing? It’s the same with eating healthier; the goal needs to be achievable. 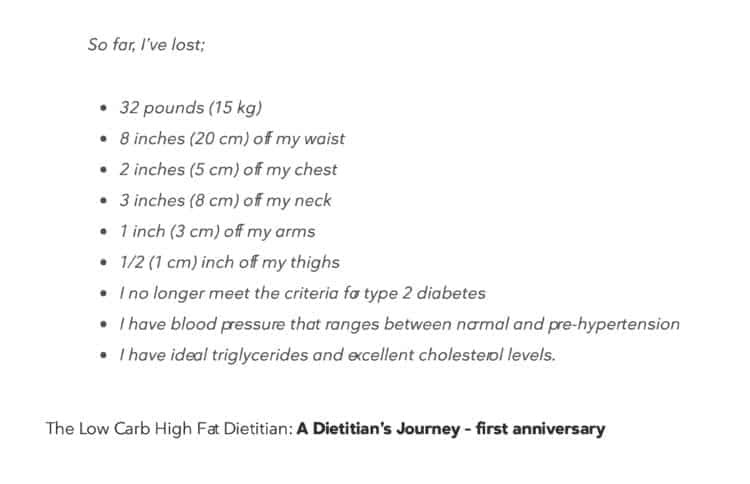 When I started my personal weight loss and health-recovery journey in March 2017, one of the goals I set was to put my Type 2 Diabetes into remission by a year. Based on the research and how I decided to eat, that was achievable. It actuality it took me 13 months to accomplish, but I was not discouraged that I didn’t actually achieve it in the time frame I planned because the goal was achievable. I was close at a year, just not “there” yet. If one of my goals is to spend more time with my kids in the evening then planning to go running each evening as a way of exercising more does not fit within my broader goals. If my goal is to buy only locally-sourced food and I want to eat mangoes as part of my plan to eat healthier, I will face challenges if I live in the northern US or Canada and it’s wintertime. We need to know our broader goals and set our individual ones in that context. For a goal to be realistic it needs to be achievable and for this step, it is often best to consult someone that would know. Setting a goal to “lose weight” is one thing. That’s pretty generic. Setting a goal to lose a given amount of weight in a specific amount of time means that a lot of planning and implementing needs to occur for that goal to be successfully realized. It is the planning and implementing to achieve a specific, measurable, achievable and realistic goal in a specific time-frame that makes it successful. While they don’t appear as SMART goals, as a Dietitian I knew what the “normal range” for these was and the time-frame I set was one year. I have not yet reached a low-risk waist circumference (one where my waist circumference is half my height). I still have to lose another 3 inches to lose (having already lost 8 inches! ), so however many pounds I need to lose to get there, is how much longer I have to go. I am guessing that will be in about 20-25 pounds which may take another 6 months or so, but I’m not really concerned about the time because this “journey” is about me getting healthy and lowering my risk factors for heart attack and stroke, and any amount of time it takes is what it will take. It took years to make myself that metabolically unhealthy and it will take time for me to get to a healthy body weight and become as metabolically ‘well’ as possible. As it turned out, it was only a week ago last Monday that I finally got to a place where my waist circumference was half my height; 8 months after my first year update. That was 2 months more than I thought it would take, but only 20 pounds more that I needed to lose to accomplish it, so I was close. Was I discouraged at 6 months when I hadn’t “arrived”? No, because from the beginning my goals were SMART which made them rooted in what was possible. 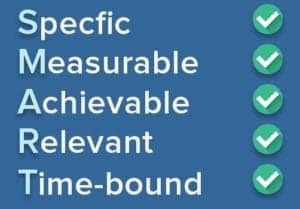 I was very specific as to what I wanted to accomplish, how I was going to measure success, that the goals were achievable based on the available research, were relevant to my larger life goals and were time-bound. That said, just because reaching my goals was possible did not guarantee that I would achieve all of them in the time I planned. I achieved most of them within a year, and achieved the rest with a little more patience and time. Instead of setting a New Year’s resolution to lose weight, exercise more or eat healthier, perhaps spend the month of January setting very specific SMART goals. 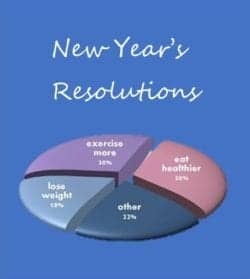 At the end of January, when 83% of the people have already given up on their New Year’s resolutions to improve their health, you will about to implement your well-thought out, realistic plan and may have already engaged me as your Dietitian or hired a personalized trainer to help you implement your exercise goals. Now THAT is a whole lot more than wishful thinking! Is this achievable? Do I know? Where can I find out? Is this goal relevant to my larger life goals? What time-frame do I want to accomplish this by? Write out what you can about each of your goal(s) and then if achieving your goal will take more than a few months or a year or more to achieve, then I’d recommend engaging a professional to support you. When it comes to weight loss and eating healthier I can certainly help, and if your goal is to lower risk to specific types of diseases I can certainly share with you the information I have gleaned as to which types of exercise are the most helpful in that regard. If you would like some help to set your own SMART goals, please click here to learn more about the session I am offering during January to help. This session is available via Distance Consultation (Skype, phone) so whether you live close by or far away, I’m able to help. 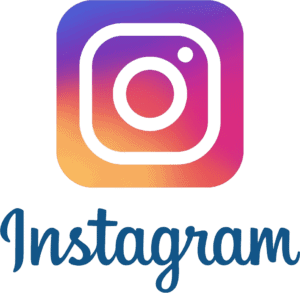 If you would like more information about my hourly services or the packages I offer, please click on the Services tab, above and if you have questions about those, please send me a note using the Contact Me form and I’ll reply when I am able. Wishing you the very best for a healthy and happy New Year!